Pioneers in the industry, we offer chain electrical hoist, wire rope thimble, wire rope, wire rope sling, heavy duty wire rope hoist and electric wire rope hoist from India. 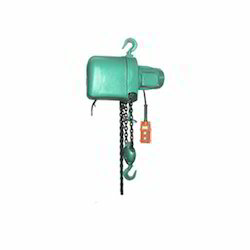 We have an excellent product of Chain Electrical Hoist. These are manufactured through international parameters. We assure our clients about its high performance. We offer our range at a competitive price range for the convenience of all our clients. With the assistance of our deft team of professionals, we are able to introduce a broad array of Wire Rope Thimble. This thimble is manufactured by us in 316 and 304 grade stainless steel materials. Such quality materials and fabrications offer reliability to the usage supporting different end working applications. In addition, the manufactured and polished thimble dipped in electro galvanized surface finish. 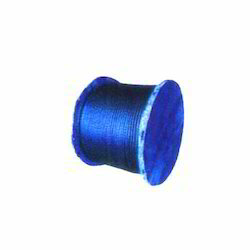 Clients can avail the customized thimble from us according to their business needs. Since our inception, we are engaged in presenting a wide range of excellent quality Wire Rope. This rope is manufactured using quality 304 or 7058 or 312 grade materials. The heavy duty materials offer strength and reliability to the rope when load or unloading task is applied. In addition, this rope is coated with galvanized finish to strength it support the high tension effortlessly. Clients can opt to get the rope manufactured and obtain length according to the business requirements. 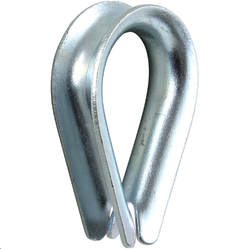 To meet the variegated demands of customers we are indulged in providing Wire Rope Sling. This Wire Rope Sling is provided by our talented professionals who are experts in this business. 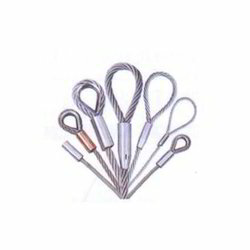 Our Wire Rope Sling is provided by using advance techniques as per the demands of the customers. 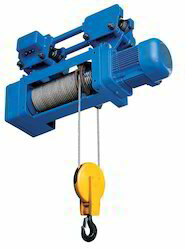 We are engaged in offering Heavy Duty Wire Rope Hoist from our premium collection of lifting equipments. It is precision engineered by using state of the art technologies by our vendors and is stringently tested for preset parameters of quality in accordance with international standards. It designed to facilitate easy handling of loads and is available at leading industry rates for our clients. 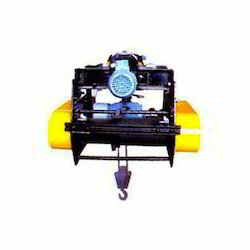 We offer an extensive range of Electric Wire Rope Hoist that consists of a hoisting gearbox that can be mounted directly with rope drum and motor is mounted with gear coupling or geared brake drum. We procure these wire ropes from reputed companies like Tata, Crompton, Alstom, Siemence, Usha Martin, SAIL and BBL because they follow international quality material, advance and latest technology and quality control parameters. Having attractive operational features, these products are appreciated by our all clients. We procure high quality Flame Proof Hoists from well known manufacturers. All parameters of international standards are followed at the time of manufacturing. The manufacturers of these products ensure our clients about its curability and efficient performance. Excellent operational features and affordable price attract our clients.